In less than two days, Juan Muñoz-Oca sold me on Washington vineyards, the de-bouge-ification of wine, and crowdsourced winemaking. This is a grown man with the style of 25-year-old model (who pulls it off much better than Johnny Depp could ever hope to) and the built-in charisma of an Argentinian. More importantly, this is a man who gets swept up in day-long coffee meetings and will stick his fashionable arm into a crate of fermenting grapes, with little regard for his watch, simply because he’s so giddy to explain the winemaking process to you. The “Big Four” supermarket chains in the UK (Tesco, Walmart’s ASDA, Sainsbury’s, and Morrisons) are your standard, labyrinthian grocery stores that have faced some competition from the German discount chains Aldi and Lidl over the past couple of decades. Aldi and Lidl offer a no-frills shopping experience where many products are own-brand, similar to Costco and its Kirkland brand, which is enticing customers away from the native chains. When asked about the early stages of his career, it felt as though he was reliving some intense trauma. As a former ad-man and current small-batch liquor proprietor, Grasse couldn’t wait to be his own boss. At 23, he founded his own agency, then Gyro Worldwide, now Quaker City Mercantile, sparking an earth-shaking, two decades of evidently unsatisfying, advertising magic. “Once you get the account, you start losing it right away,” he laments. It's official: USB-C ports are here to stay. Though they're popping up on a wide variety of media devices, these ports still seem to be ignored by the audio industry. If you don't want to live in a wireless audio world, finding a decent pair of USB-C headphones doesn't have to be dire or difficult. 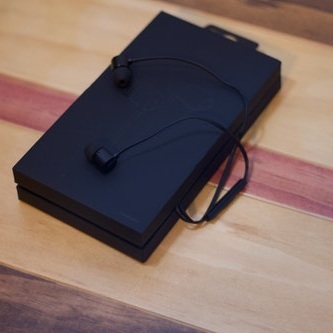 We know it's hard to say goodbye to your 3mm jack, but we're hear to help.